Although Sara and Dean have known one another for their entire lives, it took a double date to change everything. The two grew up in the small community of Providence just outside of Holly Hill, South Carolina. 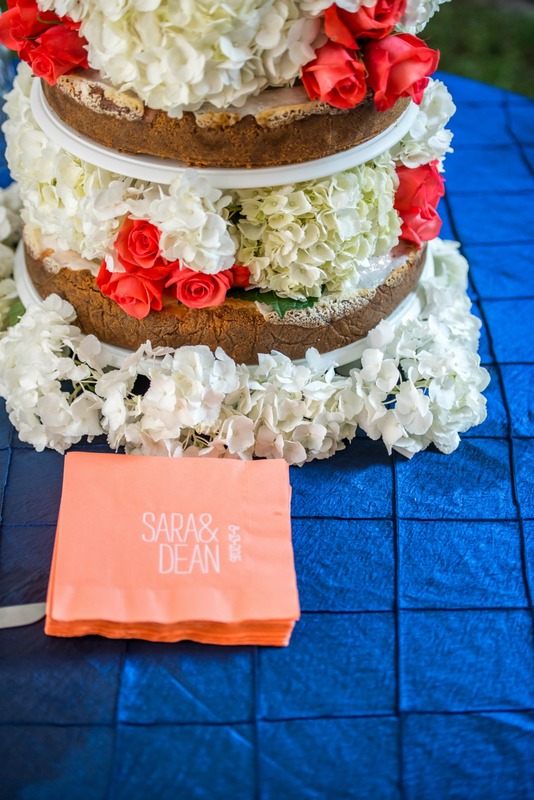 "[Dean] was always around," remembers bride Sara of their shared childhood, thanks to the strong friendship between Dean and Sara's cousin Corey. Sara and Dean decided to accompany Corey and his girlfriend (now wife) Kayla on that double date, and "the rest is history!" says Sara. 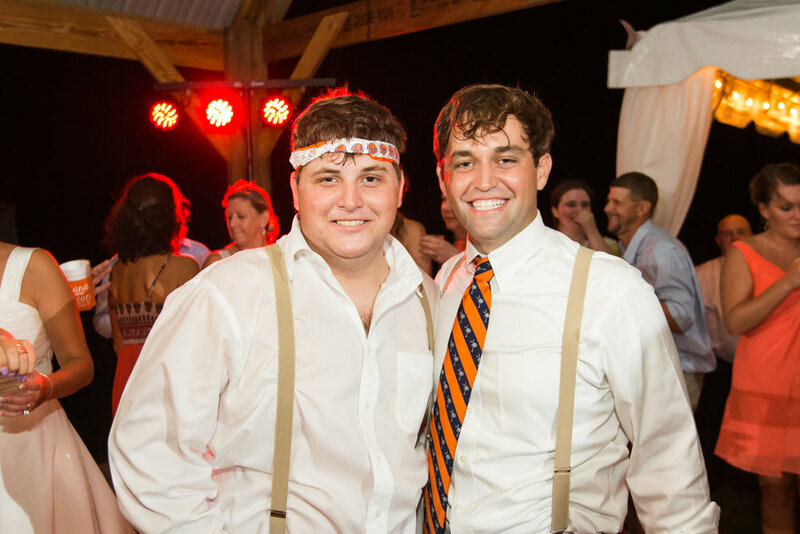 The couple gathered their nearest and dearest for a Clemson themed wedding in their childhood church, and the orange and white event was filled with love, laughter, and the most unique getaway vehicle we've showcased yet! Sara and Dean both knew they had something special, so the big question was when they were going to take the next big step. Dean created a simple plan to pop the question to his girlfriend: he'd take her fishing! As Sara remembers, "Dean asked if I wanted to go fishing with some friends at our family pond. Of course, I said yes because I love to fish." She headed over to the meeting spot with her parents, and, once they were there, Dean asked if she'd get something out of the back of his truck. That "something" ended up being a brand new yellow lab puppy; if that wasn't enough of a surprise, when Sara turned back towards Dean, she found him down on one knee. She gave him a resounding "yes!" and they began to plan their lives together. 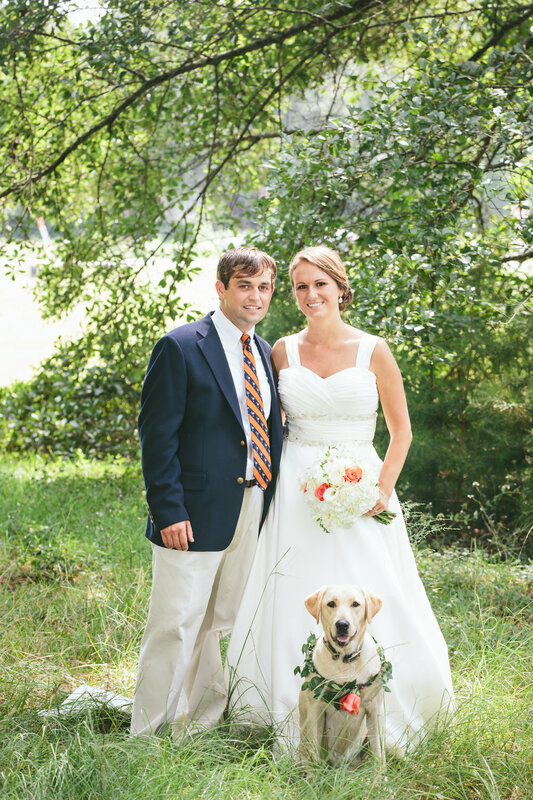 Their sweet pup was named Diamond in the perfect nod to that special moment. She had her moment in the spotlight during their wedding photos (see below for the cuteness) to bring the entire experience full circle. Being from a small town, Sara and Dean wanted their wedding day to celebrate their shared history and strong family ties. It makes perfect sense that their choice of wedding venues draws on just that. 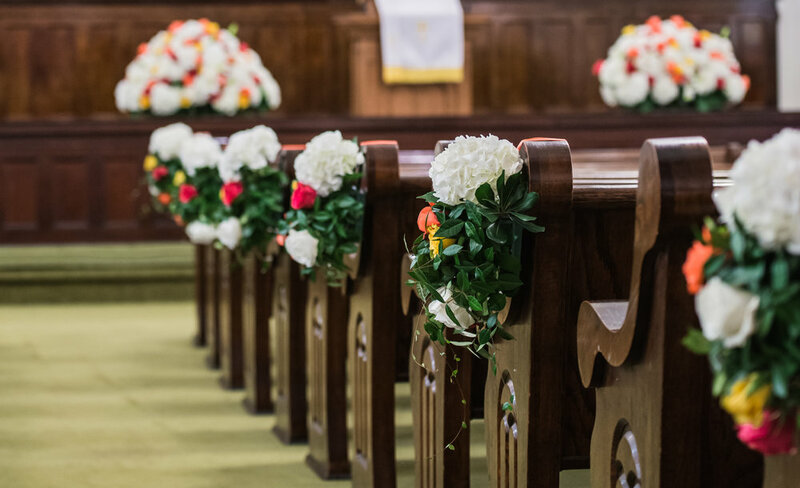 Their church wedding had to be at Providence United Methodist for a simple reason: "Dean and I both grew up going [there] so it was an easy choice for the church," states Sara. 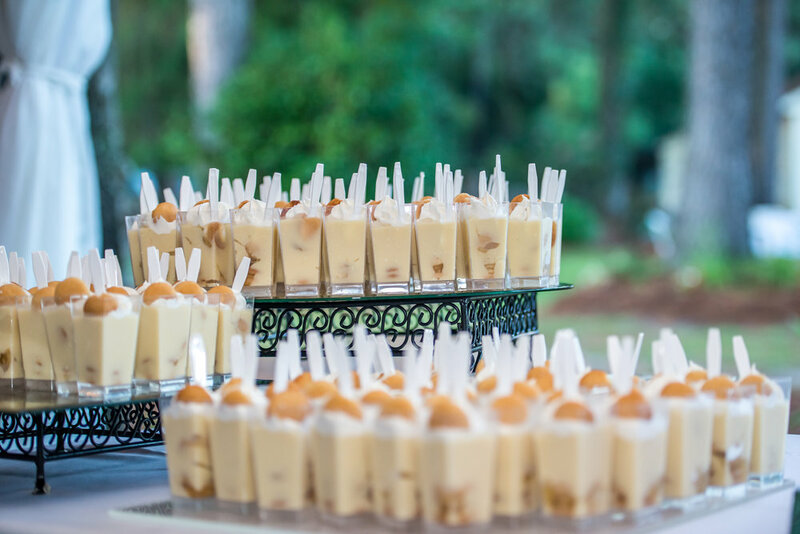 For their reception, they looked (very) close to home. "I had always wanted a reception in my parent’s backyard," says Sara, so she and Dean enlisted the help of a family member who knew a thing or two about landscaping to turn the rural homestead into the perfect party spot. The process took over a year, but the final result was everything that Sara had always imagined. The Clemson theming was a nod to Sara's alma mater; she graduated in 2015, the same year that she and Dean got engaged. "Dean is a huge Clemson fan, too!" 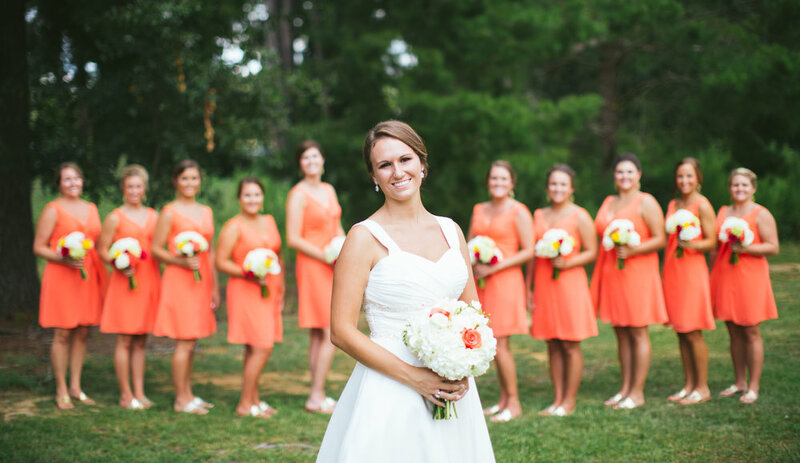 she says, so the orange and white color scheme seemed like a perfect fit. Their Tiger pride meant that they incorporated several moments of school spirit into their big day. "One of our favorite moments was having "Tiger Rag" played and having our big Clemson alumni picture taken," remembers Sara. The couple also included several other poignant moments throughout their wedding. Sara wanted to remember her grandmother, who passed away when Sara was in high school, in the festivities, so she wrapped her grandmother's pearls around the bottom of her bouquet. The groom's cake was topped with tractors since Dean works as a farmer, but those adorable tractors held a deeper meaning for the couple. "[The toy tractors] belonged to one of our close friends who had passed away the year before," says Sara. Remembers photographer Valerie, "Everyone celebrated well into the night until the bride and groom departed in a shower of glitter and corn kernels for their exit!" Ultimately, the attention to detail paid off and created a wonderful start to their marriage together. 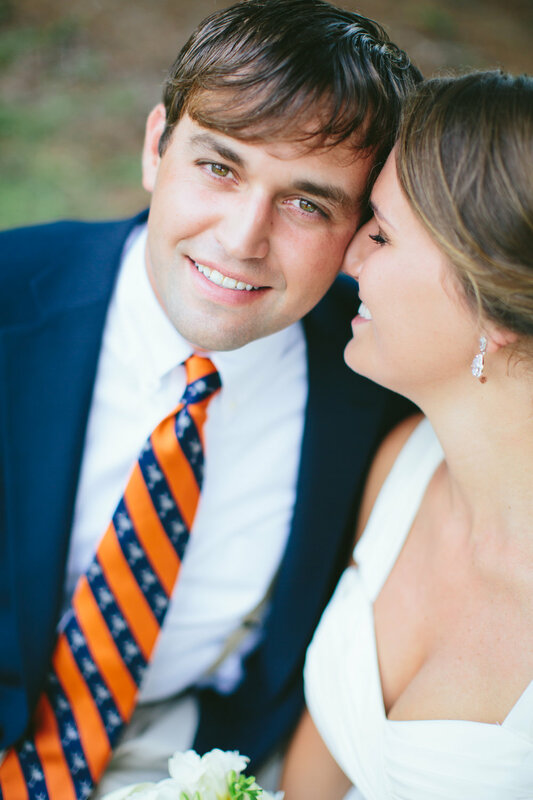 "I seriously couldn’t have dreamed of a better wedding!" gushes the bride.